This recipe is great as a side dish or a dessert if you are looking for something that isn’t so sweet. After preparing the pears, place on a baking dish, drizzle with olive oil, salt and pepper. 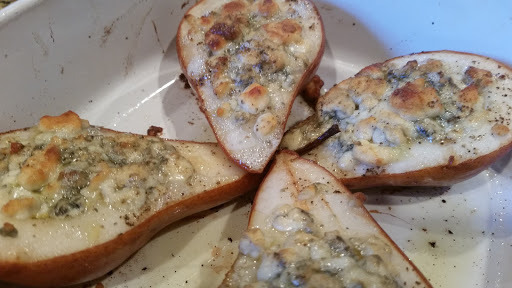 Add blue cheese crumbles into the center of the pears. Bake at 375 degrees for approximately 30 minutes until the cheese is toasted. Drizzle with honey and serve warm….delicious!